When I held the first tana lawn cotton fabrics in my hand I knew I wanted more! The fabric is so soft but strong, has wonderful designs and colours. 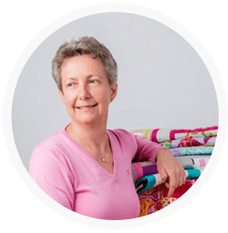 I decided to order more at Alice Caroline – the online shop offers a very good Liberty fabric selection and excellent service. Since some time I was thinking of making two new quilts for the summer. So the first selection ist done – I have now 33 different Liberty London fabrics in fat or long quarters. The next part was to select a matching background fabric. I want to repeat the pattern on both quilts but just change the background colour. My first choice is Kona solid in silver for one quilt. For the second quilt I wanted to use Kona solid mustard. But mustard would “eat” the pretty yellow Liberty patterns. Since I have started using Kona solids, I have made a sample chart with fabric colours and names. I picked out of this chart eggshell – it is not white, not yellow, not beige. And it is a same soft shade as the Kona solid in silver and both colors match nicely together.